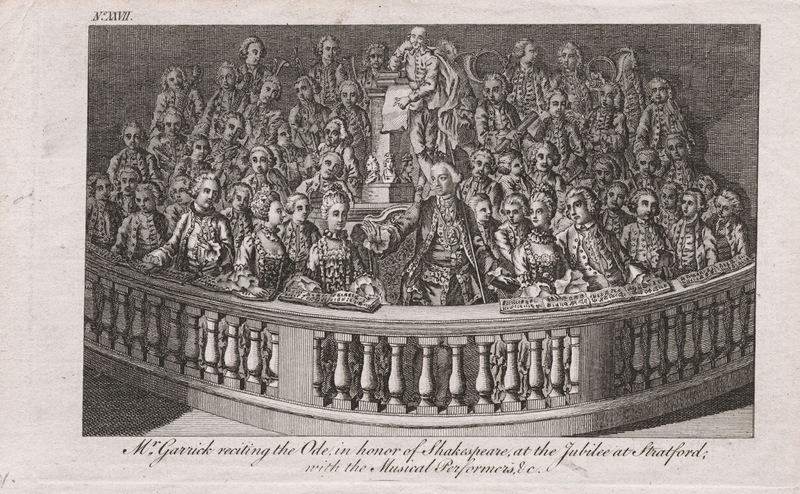 In 1769 David Garrick organised a Shakespeare Jubilee in Stratford-upon-Avon, and event which went a long way towards cementing Shakespeare's reputation in the national consciousness. The centrepiece of Garrick's festival was his own Shakespeare Ode with music by Thomas Arne, a work which survives incomplete. For their contribution to the 2016 Shakespeare celebrations, the choir Ex Cathedra and conductor Jeffrey Skidmore are performing a re-construction of the Arne/Garrick Shakespeare Ode at Holy Trinity Church, Stratford-upon-Avon on 22 April 2016. The missing choruses from the work have been composed by Sally Beamish. Beamish has collaborated with poet Carol Ann Duffy to produce the second work in Ex Cathedra's programme, A Shakespeare Masque. Ex Cathedra’s chamber choir and Ex Cathedra’s Academy will be joined by local school children, and accompanied by a consort of period instruments directed by Jeffrey Skidmore. Members of Ex Cathedra’s Consort will take the solo roles in Garrick's Shakespeare Ode which will be narrated by Samuel West, and both works will be semi-staged. The event will be repeated at Birmingham Town Hall (24/4), Hereford Cathedral (6/5), St. Peter's Collegiate Church, Wolverhampton (7/5), Milton Court Concert Hall, London (12/5), Southwell Minster (28/5). Full information from the Ex Cathedral website.